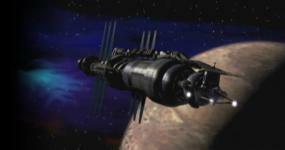 Babylon 5, what order for movies & miniseries? Re: Babylon 5, what order for movies & miniseries? I think you can watch In the Beginning at any time after the end of Season 4. Personally, I didn't see it till after I'd watched all the regular TV episodes and that worked out fine for me, but between Seasons 4 and 5 is probably the most logical time to see it. I definitely don't think you should watch ItB first. Indeed, I'm firmly of the opinion that everyone should start at The Gathering - it's not great, but part of the joy of Babylon 5 is seeing how much better it got as soon as the actual series started. good information here, i am nearly finished watching series 5 for the first time and was wondering what order the spin-offs/movies etc came in...! !